The Natural History Centre’s Ethnobotanical Native Plant Demonstration Garden is located just outside our entrance at the Community School. Part of each plant in the garden have been used by food or medicine by one or several of the Northwest Coast First Peoples. The knowledge of plants and their sustaining relationship to humans is central to Indigenous world views. Native conservation encourages plants to continue in places where they thrive and will provide their gifts for the future. 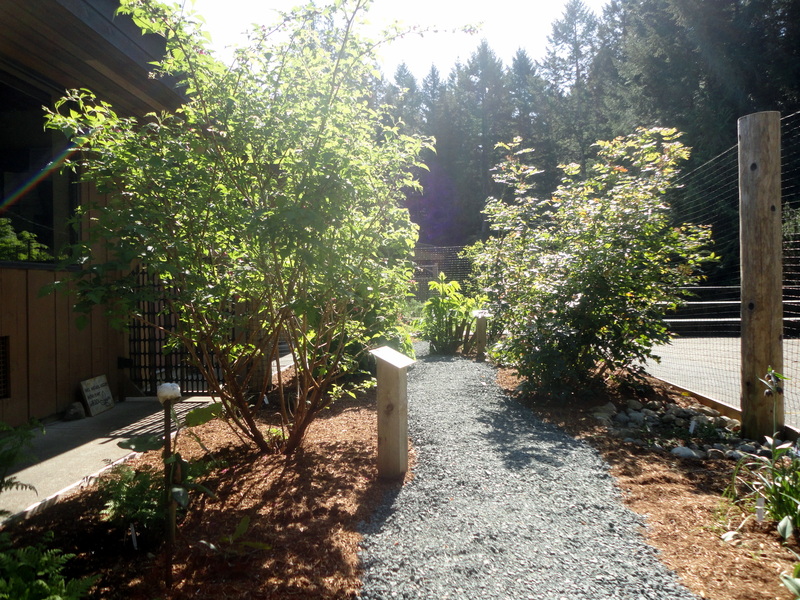 Plants at the garden include Kinnikinnick, Soapberry, Red Elderberry, Licorice Fern, Prickly Pear Cactus, Nootka Rose, Blue Camas, Chocolate Lily, and more! Read more about the history and vision of the garden. Earth Day Activities at the Garden: Hornby Island students learn about the ethno plants – yarrow and pearly everlasting particularly – then prepare clumps to take home and plant. Pictured Above: Stonecrop in the ethnobotanical garden. Photo by Barb Biagi.